The possible custom combinations that Hockey Services can provide your team is limitless. Not only do we offer a wide selection of colors, patterns, and materials for our team apparel, but we also offer many options for custom imprinting of team names, player names, player numbers, and team logos. Imprinting options include embroidery, silk screen, tackle twill, and film or vinyl printing. Which option is right for your team will depend on your team’s needs and budget. 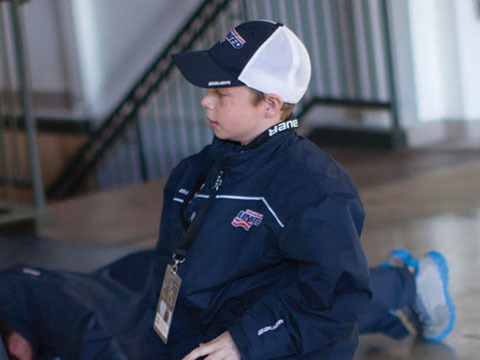 The expert players at Hockey Services are well-qualified to guide you through the many options available to you in your custom hockey team apparel order. At Hockey Services, we strive to supply you with the right products for your needs and budget. We also work to provide you with proper sizing, accurate imprinting, and timely delivery. In addition to custom hockey team apparel, we also offer customization options for other team gear, including gear bags and water bottles.